As a webmaster, it’s important for us to track what’s hot on our website and what’s not. It’s really important for us to get full details on how many people are visiting our website and how many of them are new visitors and how many are good old visitors of the website. It gives us a lot of information about what our visitors wants in our website, and what they don’t and where all the traffic is coming from. Google Analytics is the best tool on the internet to track all the information about your website’s traffic. Google Analytics gives you perfect stats of your website for free. This free service contains full stats, referrals, search terms, search terms within your site, and more. 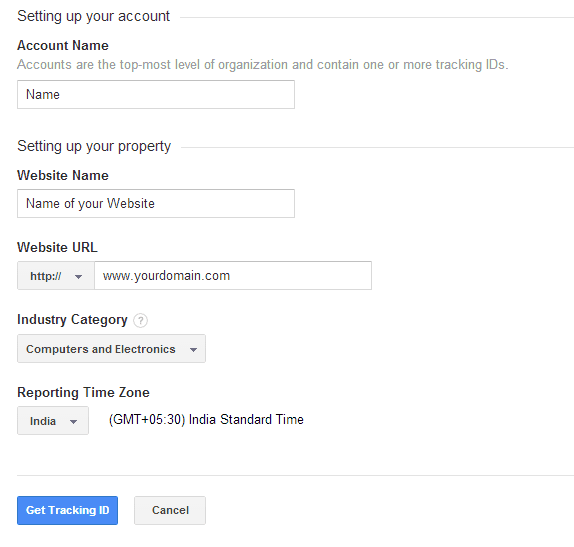 First, you need to sign up for a free Google Analytics account with your Google account. Visit google.com/analytics and click on Access Google Analytics button to process to the next screen. In the next screen, click on Sign Up button to create a Google Analytics account. In the next page, you’ll see following form. Fill the form with your account & website details, and click on Get Tracking ID to end the sign-up process. That’s it! You have successfully created your Google Analytics account. What’s now? 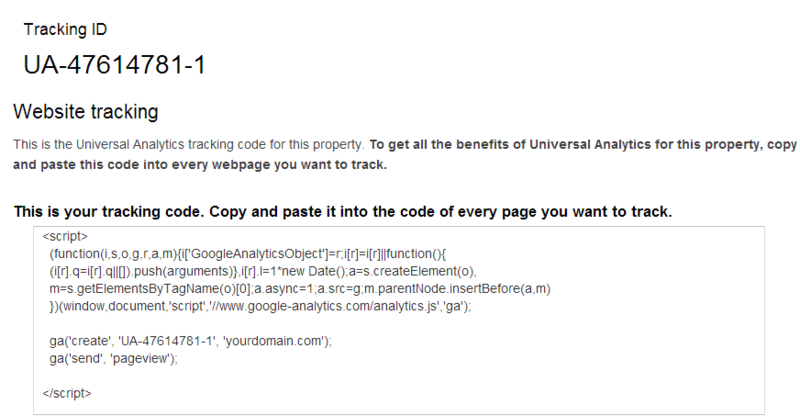 In the next page you’ll get your tracking code to place on your website to track your website’s traffic. Just copy & post the above tracking code to your website’s header or footer to track your website.